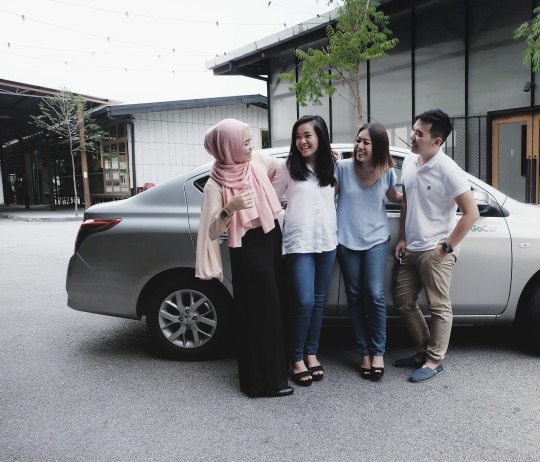 Whether you were using GoCar for your road trips, for the days your car gave way or even to pick the dry cleaning up, we believe every moment of convenience brings a smile on our members’ faces and we would love to hear from you! Here’s the thing: we know how frequent and where you book GoCar from, and that some of you are our leading supporters, which is great. What we don’t know is the moments in between picking up and returning your GoCar. 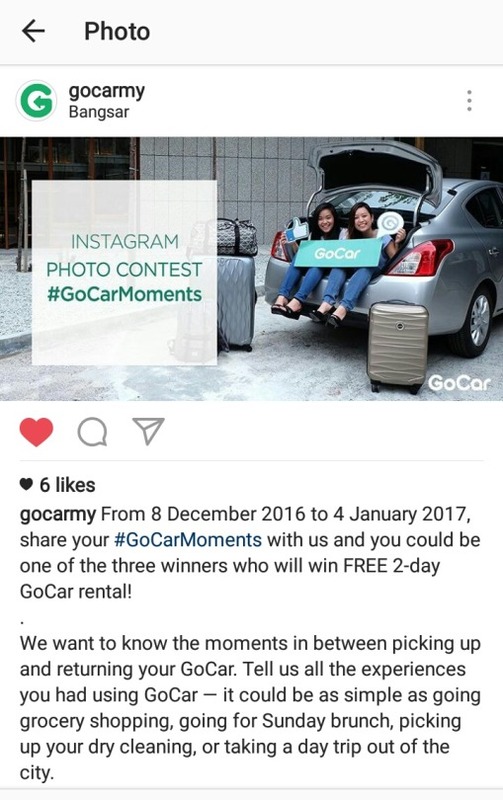 From 8 December 2016 to 4 January 2017, you can be in the running to be one of the three lucky winners to win complimentary 2-day GoCar rental. All you have to do is join this Instagram photo contest. Simply tell us what you did, who joined you, where you visited, how the trip went — all the experiences you had using GoCar. It could be as simple as visiting your hairdresser for a new year hairdo, going to the movies, picking up groceries for a weekend BBQ, taking a seafood day trip to Sekinchan, or going back to your hometown. Below is a quick guide on how to participate in the contest. P.S. Before you follow the steps below, please ensure that your Instagram account is made public until the contest is over or else we won’t be able to view your masterpiece. 1. 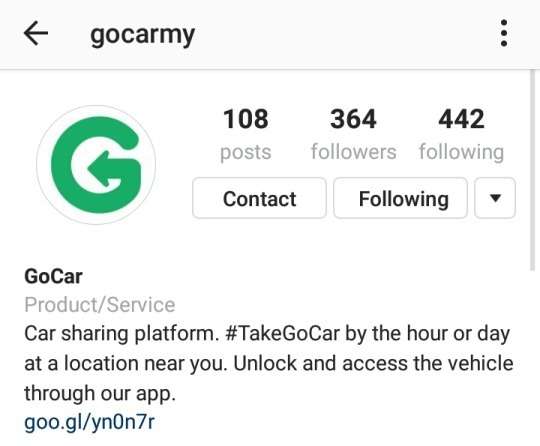 Follow our Instagram account @gocarmy and like our contest announcement post. 2. 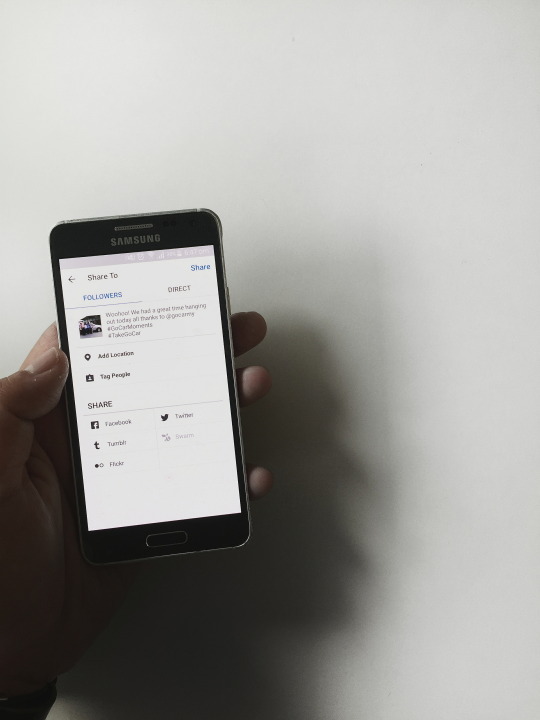 Upload a photo representing your GoCar adventures and tell us all about your experience. It’s time to get creative! 3. 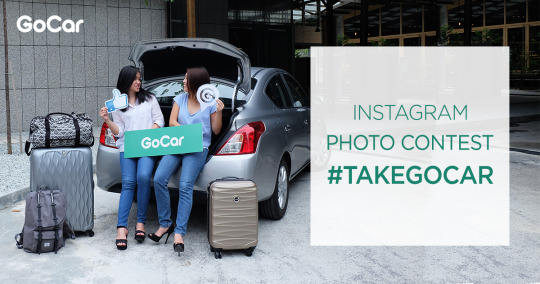 Remember to tag @gocarmy and include the hashtags #GoCarMoments and #TakeGoCar in your post. 4. Finally, sit back and stay tuned! The three winners will be chosen at random, announced on our Instagram account, and contacted further via Instagram Direct Message on Friday, 6 January 2017 at 11:00 AM (UTC+08:00). Now #TakeGoCar and post away. Good luck!